Fans are versatile things. They provide their holders with a way of conveying emotions that cannot be expressed in polite company with words alone. For women in Victorian society, they were also a form of social semaphore, a shield, a mask, a weapon. 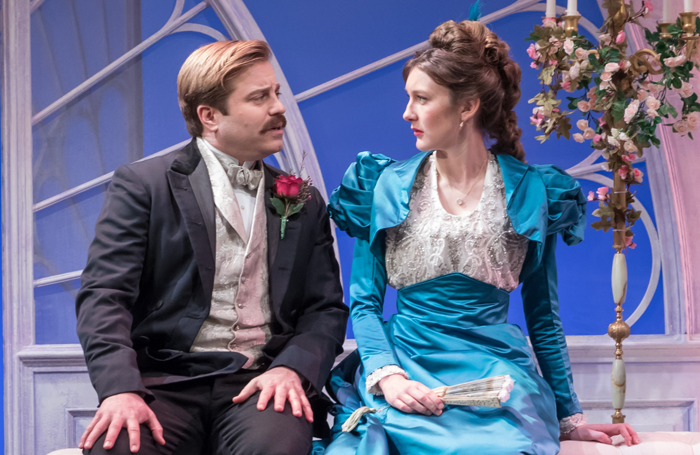 Director Kathy Burke’s revival of Lady Windermere’s Fan is the second major production of Dominic Dromgoole’s year-long celebration of Oscar Wilde in the West End. 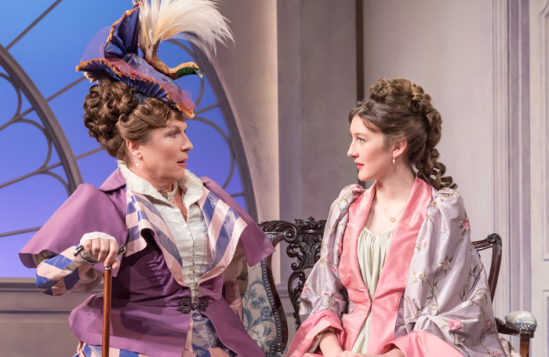 Like Dromgoole’s earlier staging of A Woman of No Importance , instead of resisting the constraints of the proscenium, it glories in them. 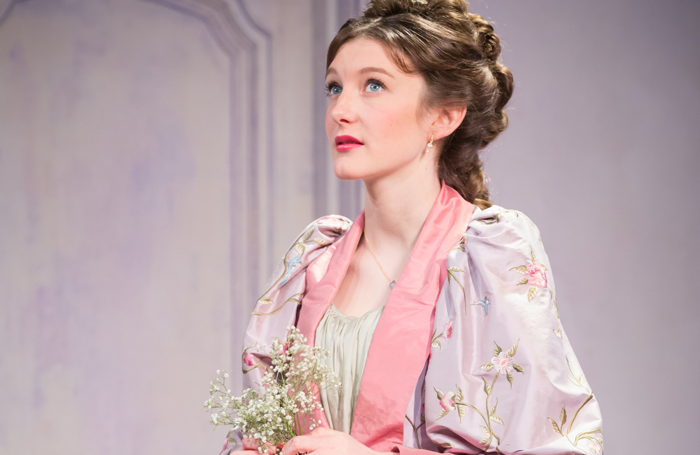 And, like that show, this production provides a reminder of how compassionate Wilde could be as a writer. Beneath the quips, he had a huge heart and a keen eye, particularly when it came to the sacrifices and compromises women were so often obliged to make by society. Grace Molony’s Lady Windermere is led to believe her husband has been cheating on her with Samantha Spiro’s Mrs Erlynne. But the truth is more complicated and her husband, however misguidedly, is trying to protect her from it. 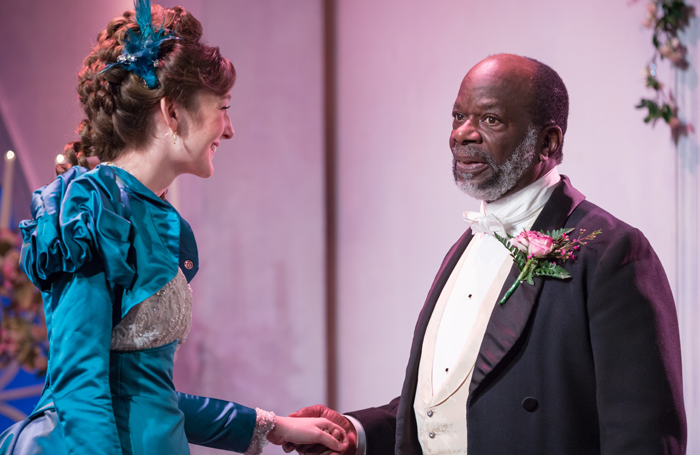 Written in 1892, the play explores, with genuine empathy, the way that shame can be used to derail a woman’s life. Mrs Erlynne refuses to behave in the way society has deemed appropriate and apologise for her past, so she ends up paying a large price. 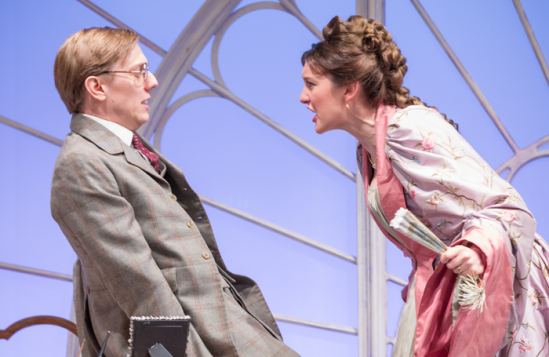 While Burke’s production draws all this out, it is played first and foremost for laughs. 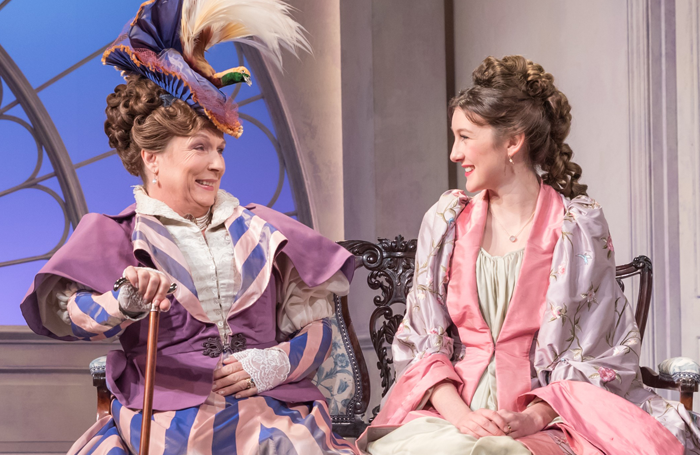 Jennifer Saunders – returning to the West End stage for the first time in over 20 years – delivering a scene-stealing, scenery-devouring performance as the Duchess of Berwick while wearing a succession of elaborate hats that make her head look like the final resting place for all manner of unfortunate wildfowl. Designer Paul Wills also has real fun with the fan theme – his set is dominated by a huge fan window, and even the safety curtain is covered with them. There is little here that is subtle. At times the production most resembles an extended French and Saunders sketch, but as writers they were always alert to social subtleties, so this feels fitting. 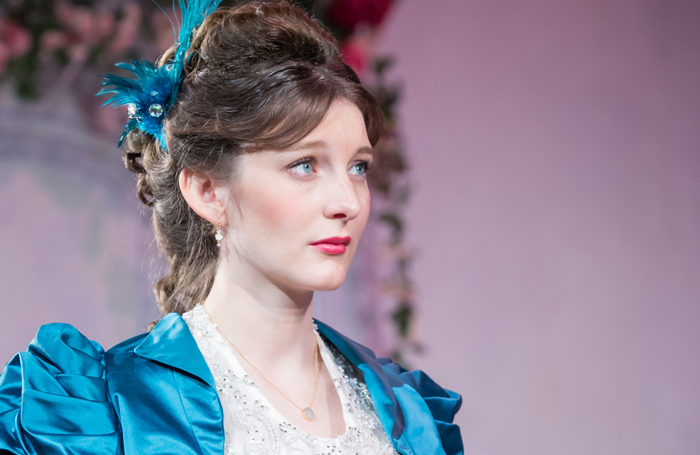 A comedy musical interlude, in which Saunders warns men to keep their hands away from her fan, is a definite misstep, and there are times when the whole thing tips into caricature but there’s a lot here that’s resonant. The contrast between the female characters’ anxieties and the men’s complete failure to grasp the size of what’s at stake, is a case in point. Some of the supporting performances are more successful than others. There’s a fair bit of mugging and winking. 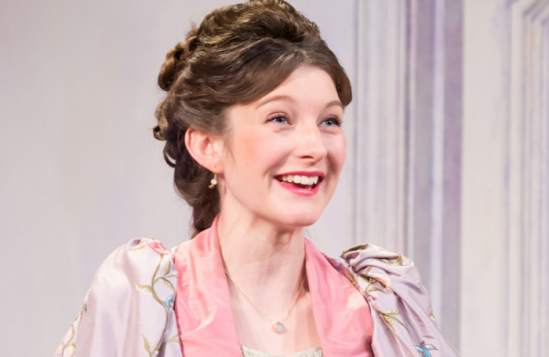 But Molony – winner of The Stage Debut award  last year for best actress in a play – brings warmth to the potentially anaemic title character, Joshua James emphasises the callowness of her husband, and Kevin Bishop gives a decent account of Lord Darlington, who has convinced himself that he loves Lady Windermere – and is trying to convince her of the same. It initially feels like Spiro could dig deeper with Mrs Erlynne, but by the end she leaves you with a sense of a woman who has become adept at shielding herself in order to survive, and Burke’s production leaves you in no doubt about what this has cost her.